It’s late October and I’m walking the vineyard with viticulturalist Scott Savoy who gestures below our feet into the genius loci where multiple layers of loam and sandy loam are mixed with river stones. In the vested interest of micro-climate orientation he points out the modest mountain ridges to the north and south, the stretch of valley to the east and west, to the big Bay of Fundy beyond and back down to the earth. 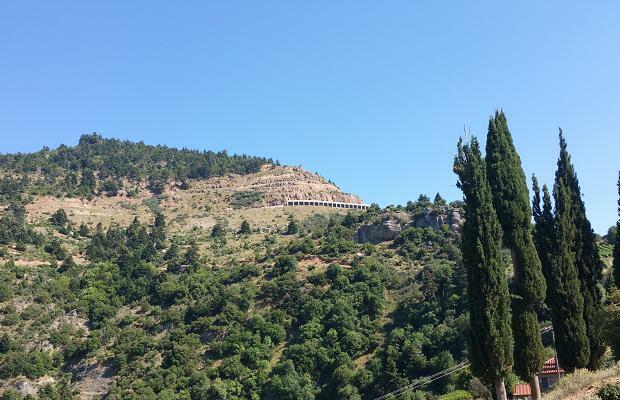 He notes the fault line running diagonally away from the crush pad and tasting room, through the vineyard and down the slope to the river below. 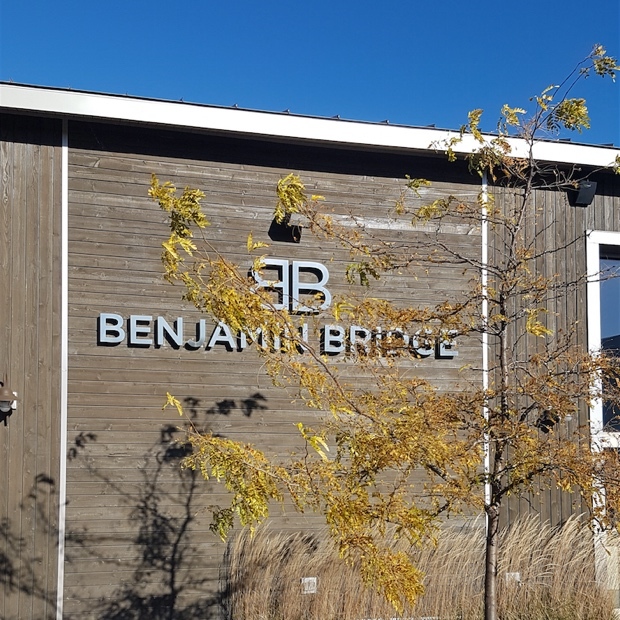 Today the namesake belongs to the winery but Benjamin Bridge is first and foremost a place. We all want to know about its history because there is something very special here. 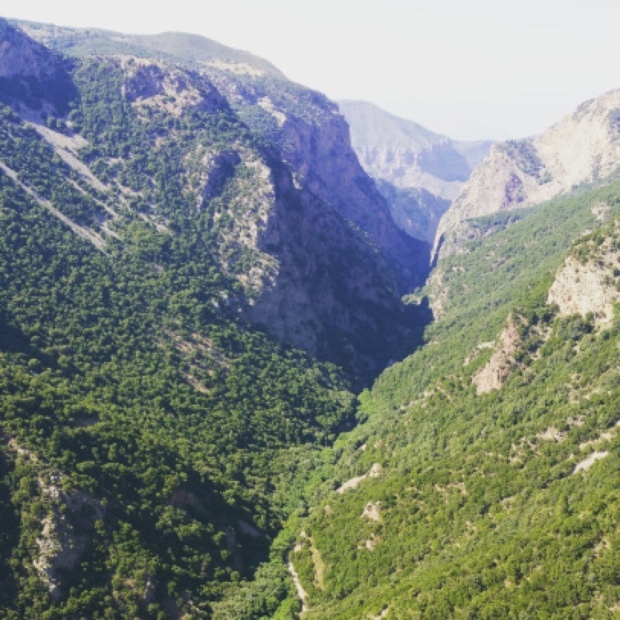 In this valley the apples are different and the vines grow berries smaller and unique. It’s a place that pulls on the heartstrings of innate curiosity. 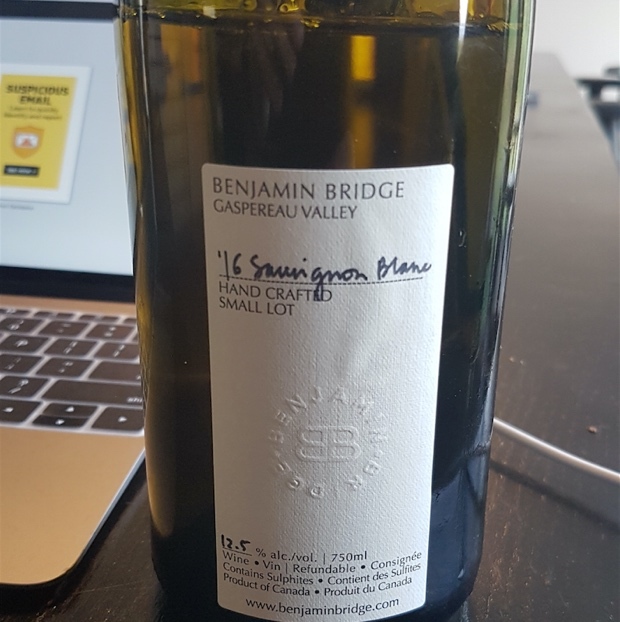 It comes from the name of the bridge that crosses the Gaspereau Valley and pays tribute to the Benjamin family who dammed up the river to become the first industrialists here. The name is a historical one, not one of fashion, trends, aggrandizement or narcissism. 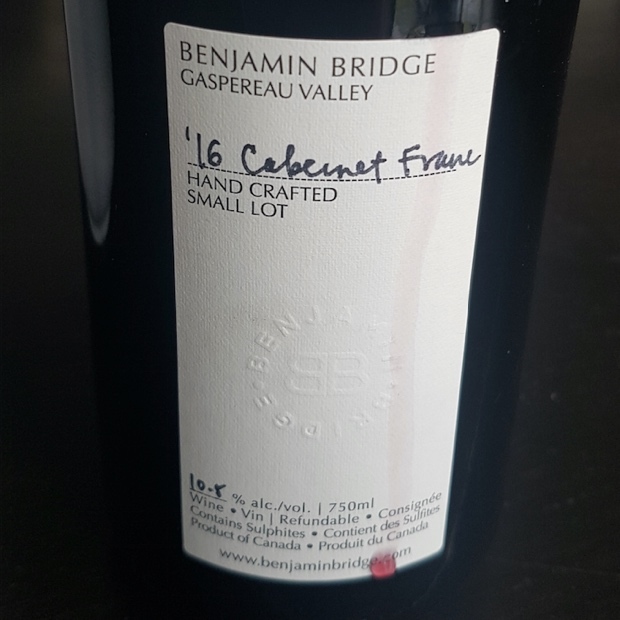 The ownership and the management of Benjamin Bridge Vineyards are fully cognizant of their place within a King’s County pantheon, of the past and for the future. Who among them wouldn’t pay a king’s ransom to protect it? They fully recognize how the tenets of farming, progression, life, struggle and ethos came before them and will continue long after they are gone. 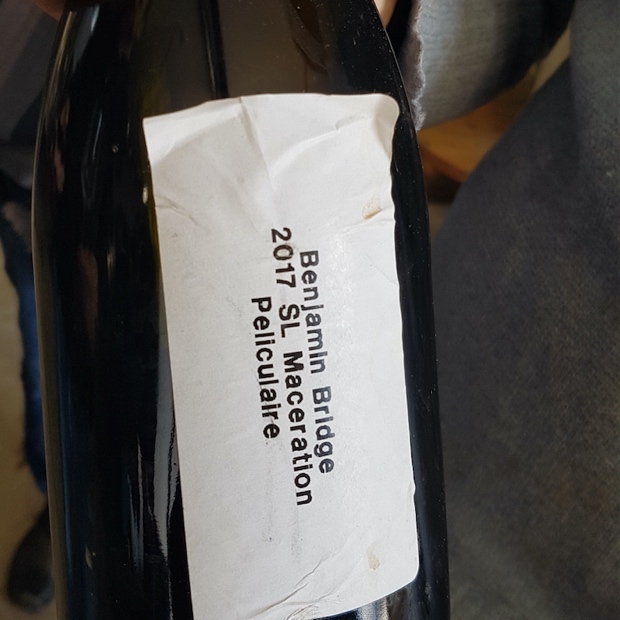 Just in case their work in making sparkling wines headed up by chief winemaker Jean-Benoit Deslauriers is not legacy defining enough they recently supplied a bottle of Benjamin Bridge Méthode Classique Brut Reserve 2012 to christen the first Irving Shipyard built Arctic patrol vessel. Sophie Trudeau used the bottle to christen the Harry DeWolf during an October ceremony on the Halifax waterfront. An interesting and poignant aside, this gesture. 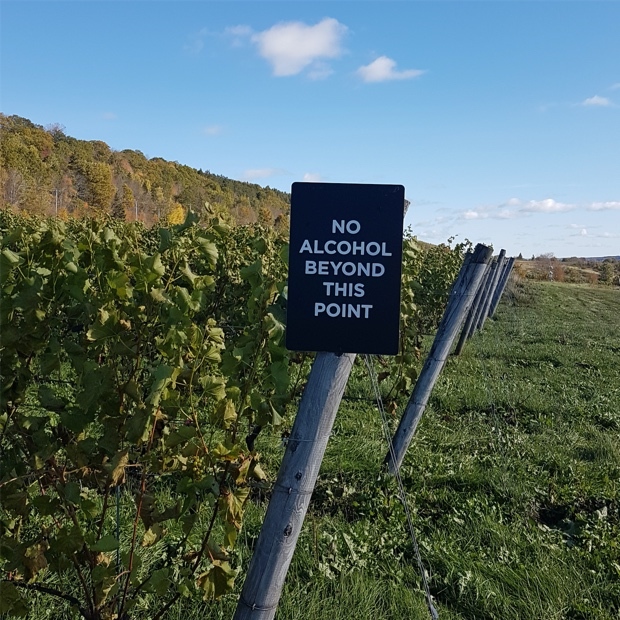 The 2018 Nova Scotia harvest will live in infamy and perhaps not for the reasons everyone involved will want to remember. Frosts, rain, grape growing pressures and more frosts reduced quantities so drastically that emergency fruit was transported across two provincial borders from Ontario, a fact not lost as a notion that is pathetically-monopoly ironic. 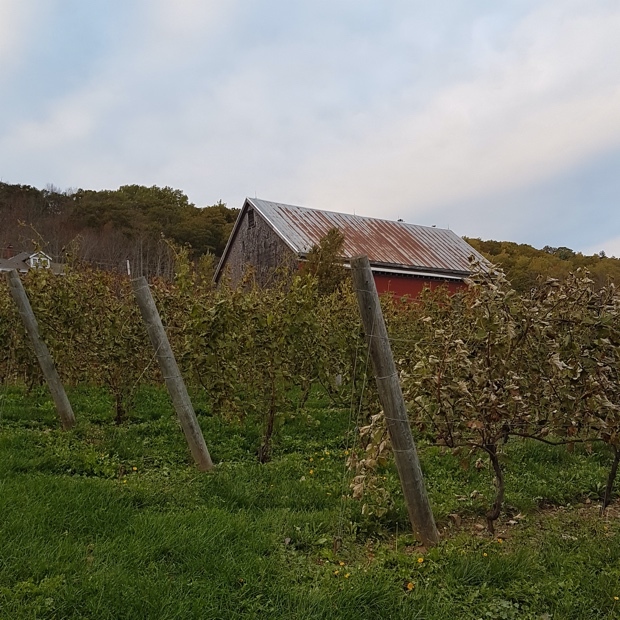 Annapolis Valley Vineyards were looking at losses of at least 50 per cent following a late Sunday frost overnight and into the morning of June 4th. Temperatures plummeted from the high 20s just two days earlier to minus three degrees celsius. There were some miraculous exceptions to the rule, like Avonport’s Oak Knoll Isle but damage ran from 20 to 100 per cent. Frost that settled in the lowest sections of valley vineyards were hardest hit. 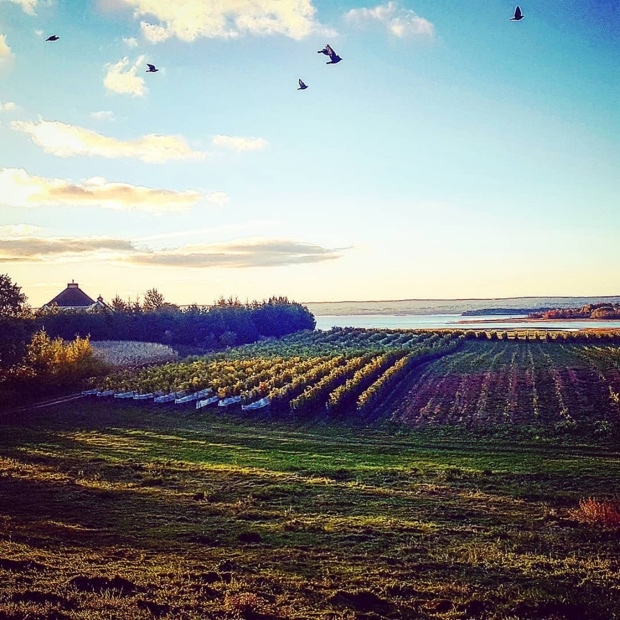 All that happened to Nova Scotia’s wine industry plus more in, outs and twists than a Coen brothers comedy-drama and yet the greatest things happened anyway. The community of growers and producers banded together, traded grapes, shared experience and pulled each other through. 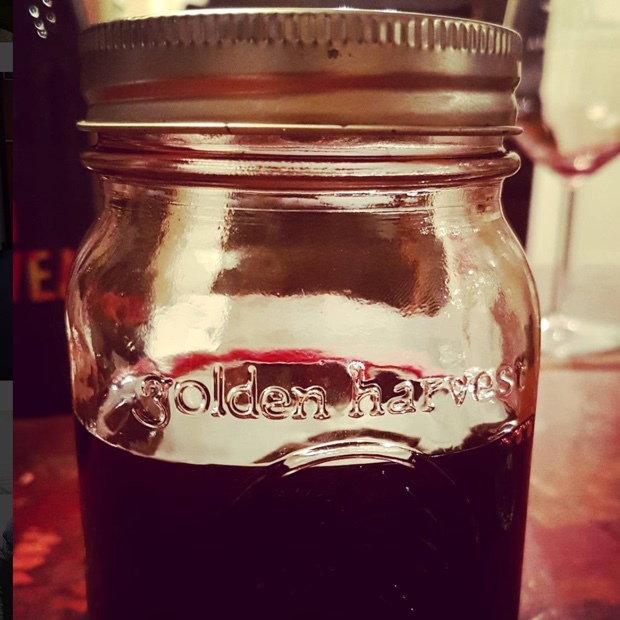 This is a place where everyone understands that making wine is not about one vintage, individual accomplishments or accolades. 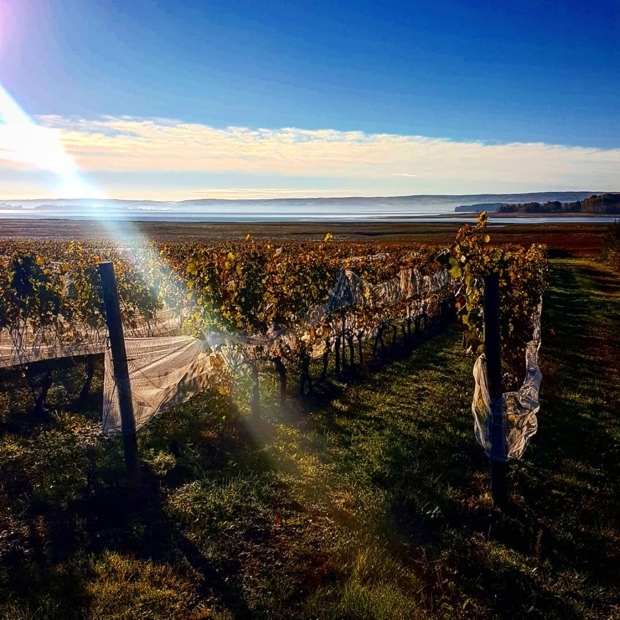 Turning grape water into wine is a life-long partnership with the land, with the weather, the Bay of Fundy and each other. Success is wrought with challenges, adversity and responses to the contretemps of the day. Such tremendous odds give credence to Nietzsche saying “that which doesn’t kill you makes you stronger,” leading to an alignment with a maritime band of brothers and sisters. 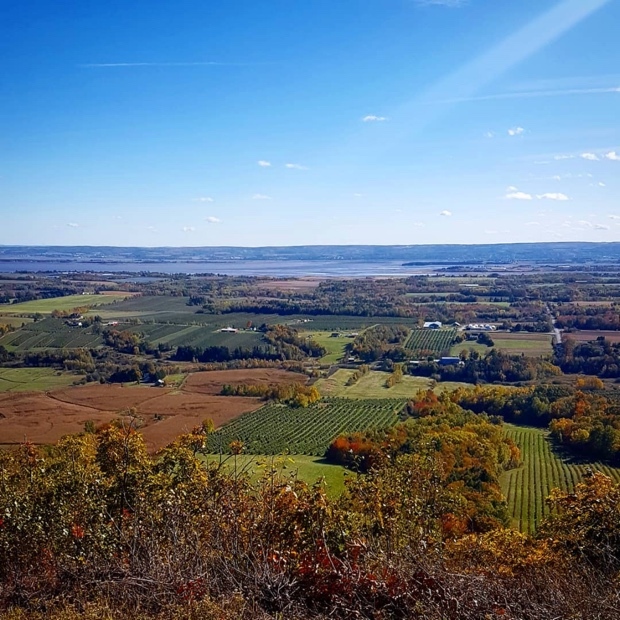 The year 2018 is the vintage during which the Nova Scotia wine producers in and around the Annapolis Valley were forced into a situation of needing one another and to become les retrouvailles, the reunited. 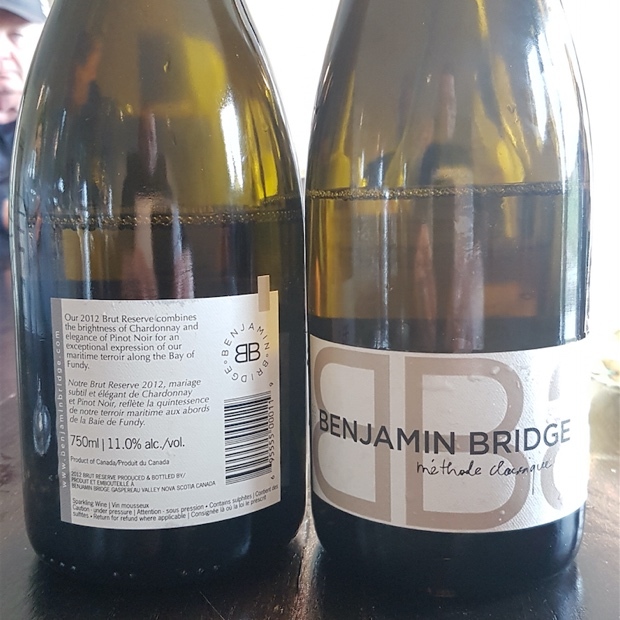 At the fore of this happenstance is Benjamin Bridge Vineyards, both in terms of being the helped and the helper. 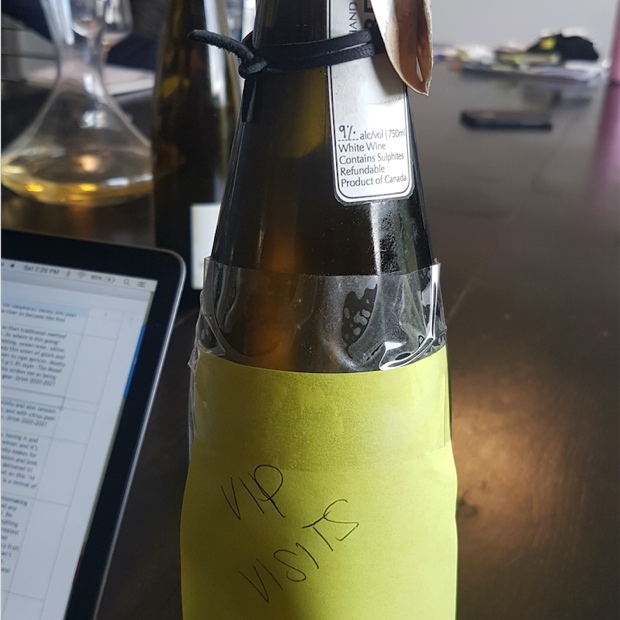 The Gaspereau Valley sparkling wine specialist is the unquestioned leader of their cottage wine industry and for so many reasons. 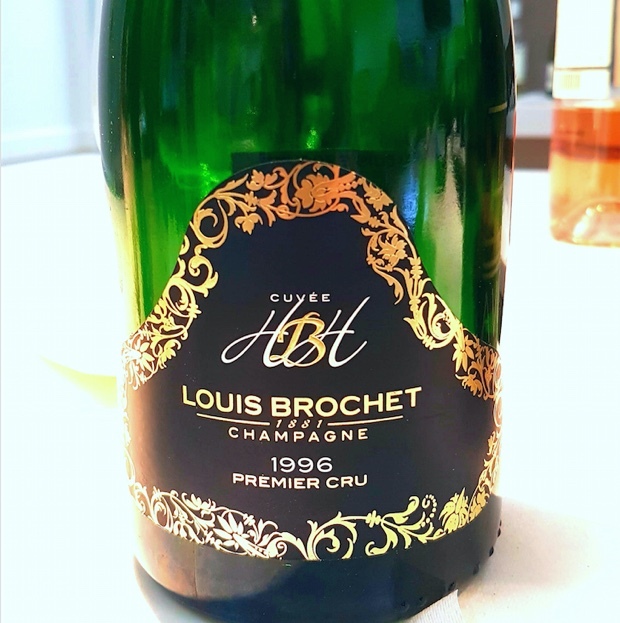 Decisions made more than a decade ago to invest everything into this stretch of land south of the Bay carved through two micro-climate catalyst ridges for the purpose of creating the newest and most important innovative sparkling wine on the planet is nothing short of historical. The speed bumps may be serious but mark my words (and by many who have stated this before me), Nova Scotia is second only to Champagne for making the kind of sparkling wine we should and will want to drink. No disrespect intended to Franciacorta, Alta Lange, Prosecco, Crèmant de Loire, Bourgogne, Jura or d’Alsace. 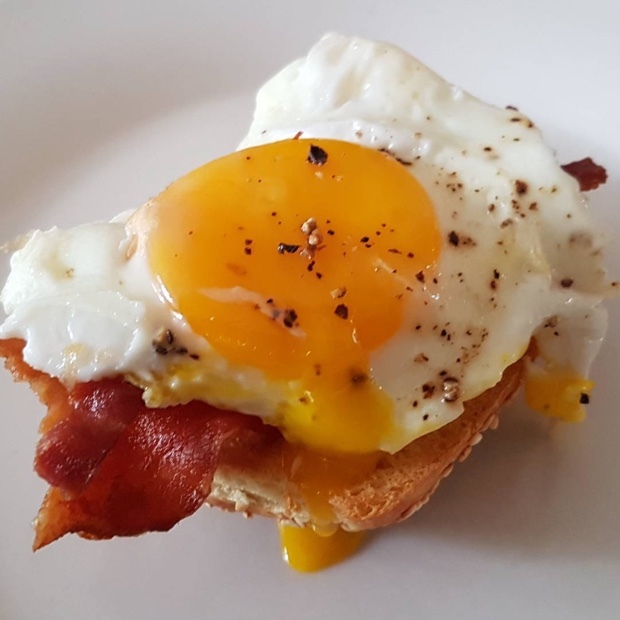 No ill will meant towards Sonoma County, Ontario, British Columbia, Tasmania, England or Roberston’s Méthod Cap Classique. 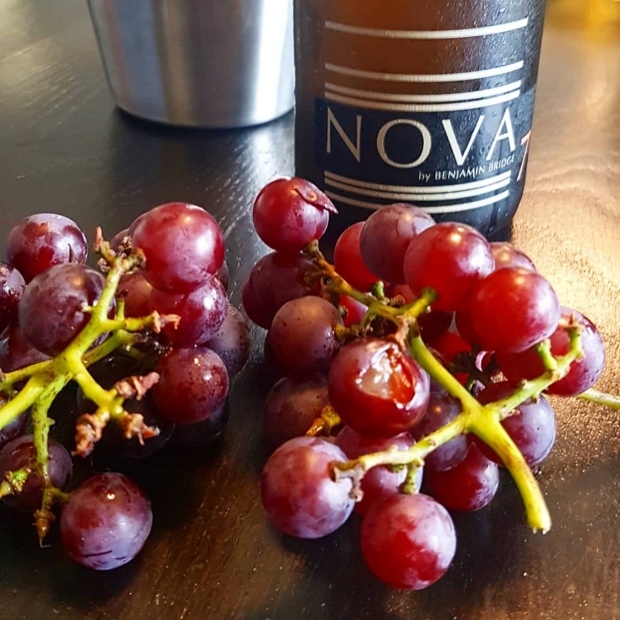 I love you all but Nova Scotia can raise grapes for traditional method sparkling wine in ways and with results that blow everything else out of the proverbial water. Not sure you need the banger. Jacket should scare them off! Case in point, time and again, with variations on the theme, measurable and of a ceiling reckonable through infinite possibility. 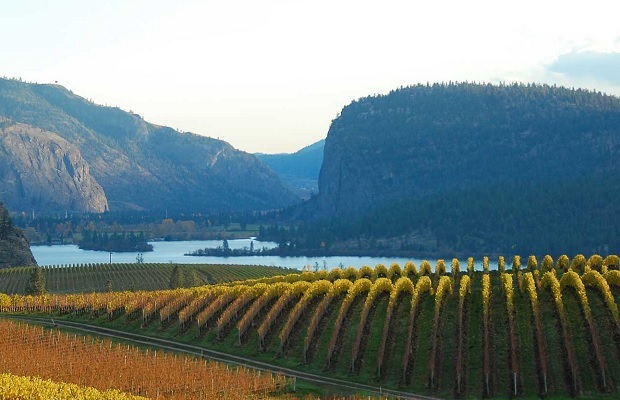 In this part of Canada vinifera varietals like chardonnay, pinot noir and pinot meunier can linger well in the autumn months, reach brix levels ideal for sparkling wine and still maintain acidities at levels all other regions can only dream of. The effect of the Bay of Fundy creates a unique environment, plain, simple and complex. Imagine adding up the flow of all the rivers in the world and asking that accumulation to submit to the power of one body of water’s tides that lower and rise as much as 17 metres every day. The Bay is like an air pump that moderates climate. 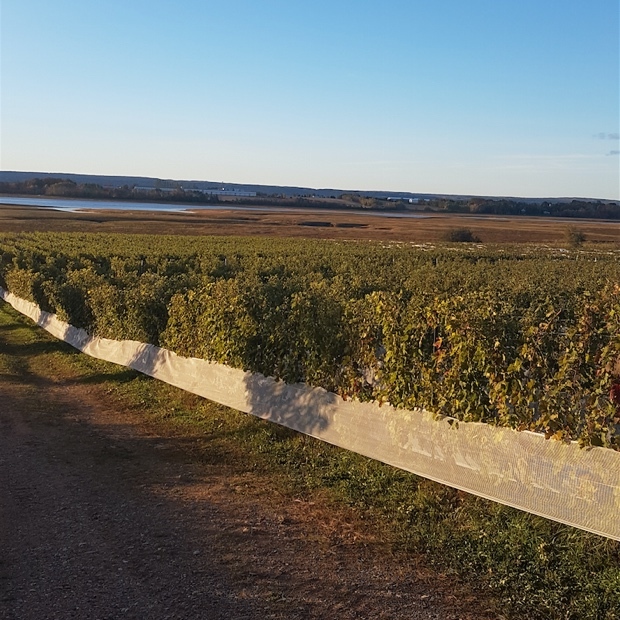 Frosts be damned the picking in the Gaspereau of grapes just ripe enough for making wine is the latest anywhere. In Franciacorta for example picking of chardonnay happens in early August, just to keep natural acidity. In California it’s July and in the dead of night. 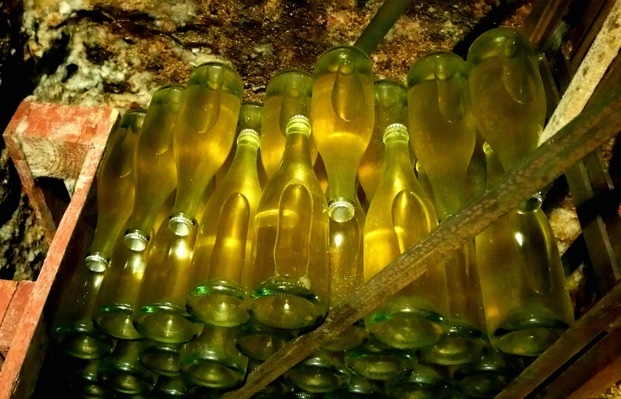 We have begun to taste Nova Scotia bubbles at eight, nine and ten years on their lees. 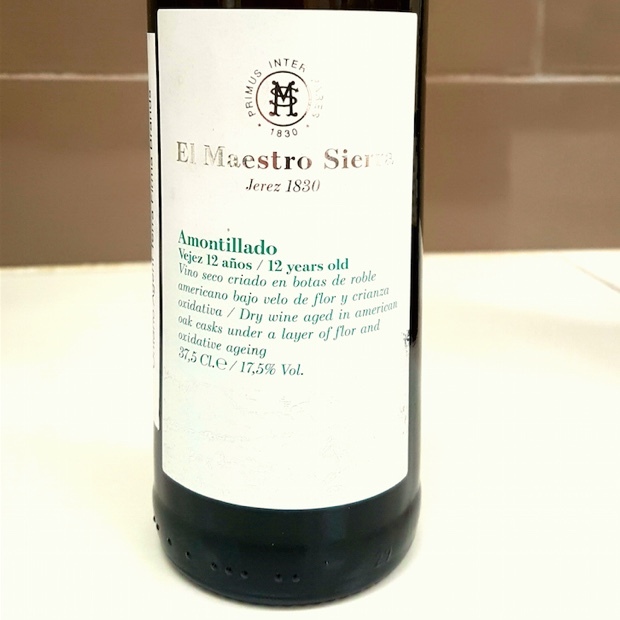 The results are astonishing with a combination of texture and acidity never seen before. As I said, the ceiling is boundless. 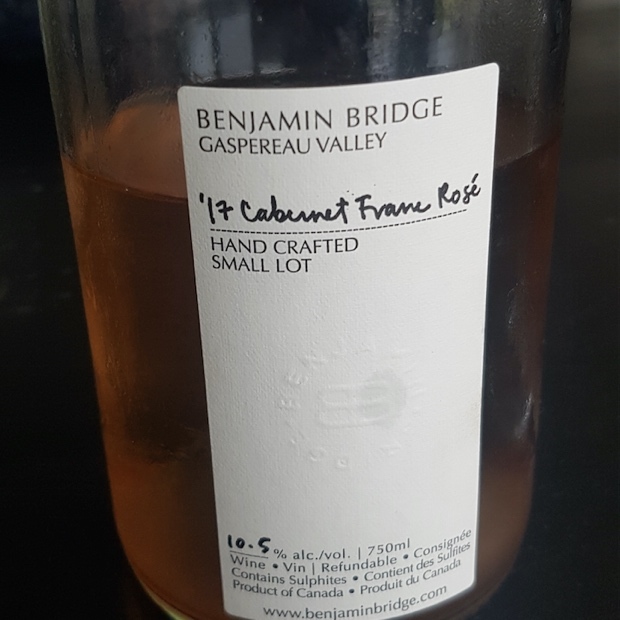 The charge at Benjamin Bridge is led by founder Gerry McConnell who purchased the property with his late wife Dara Gordon in the Gaspereau Valley in 1999. 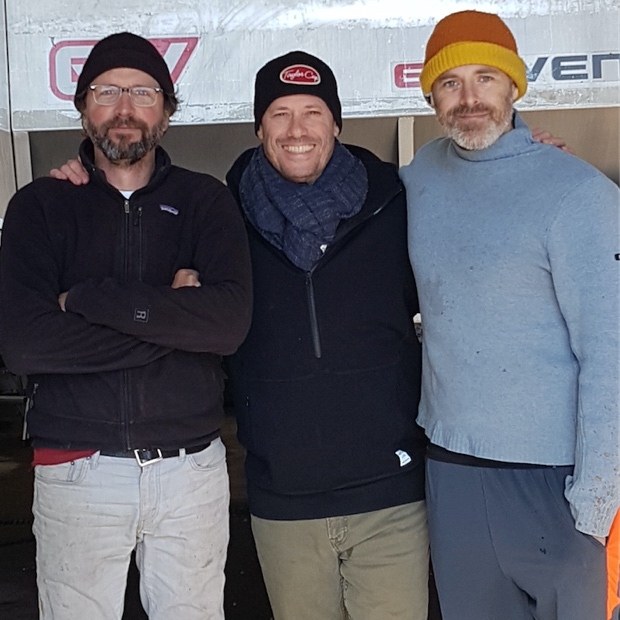 McConnell worked with Canadian oenological consultant Peter Gamble and Sparkling Wine Consultant/Champagne specialist Raphaël Brisbois to establish vineyards, a protocol and a long-term strategy for making world-class bubbles. Within three years of launching the project they knew it would work. 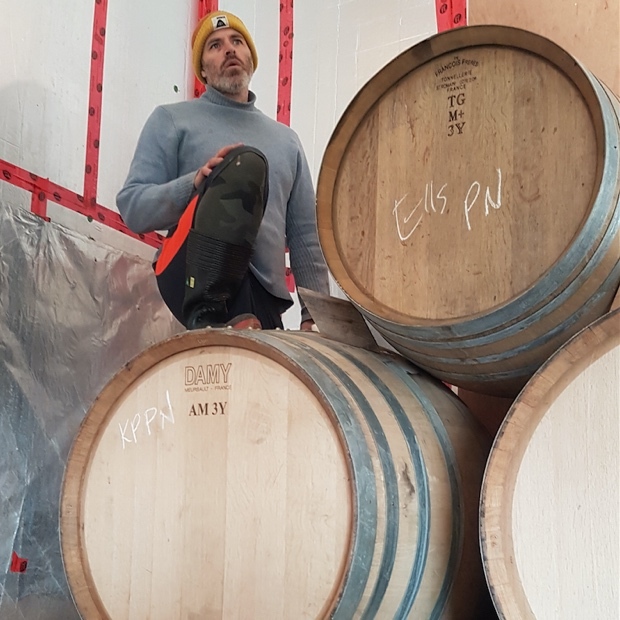 The unfortunate passing of Raphaël Brisbois left a huge hole in the hearts and the ethos of the BB project but great timing, fortune and intellect came to the company in the extraordinary ethic and cerebral meanderings of head winemaker Deslauriers. Originally from Québec, J-B joined in 2008 and for 10 years has explored, extrapolated and elevated the game. No combination of diversity and focus is more apparent than it is now at Benjamin Bridge. 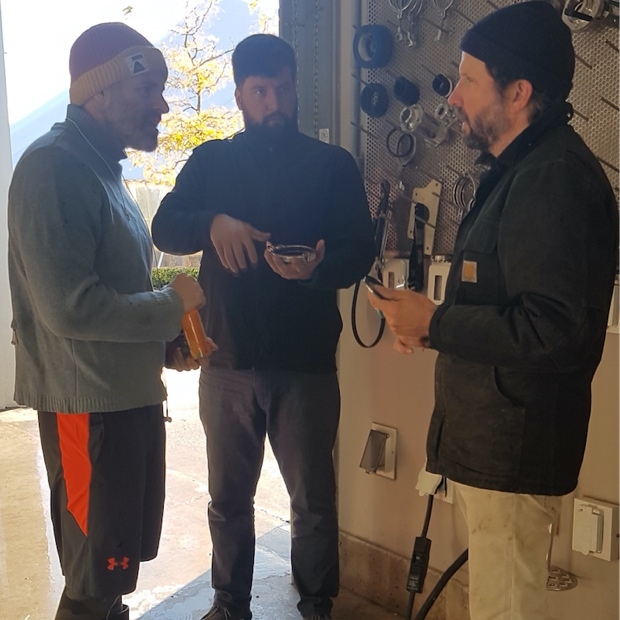 The team on the ground and in the cellars is led by Head Viticulturist Scott Savoy and Chris Campbell who aides, abets and manages the trilogy of harvest, cellar and production operations. Alex Morozov is Assistant Winemaker to Deslauriers. Gerry’s twin daughters Devon and Ashley McConnell-Gordon have run the daily operations of the winery since early 2010, Keltie MacNeill manages the BB Club and Gillian Mainguy is the face of the place. Some of you may remember Gillian at Wines of Nova Scotia but now she is marketing, public relations and tireless world traveller on behalf the BB brand. In the third week of October I spent 48 hours with the gang at Benjamin Bridge. Crushing, talking, pressing, tasting, pumping, discussing, racking, ruminating, walking and speculating. There is a foundation of land, people and spirit you can’t know until you come here to really know. 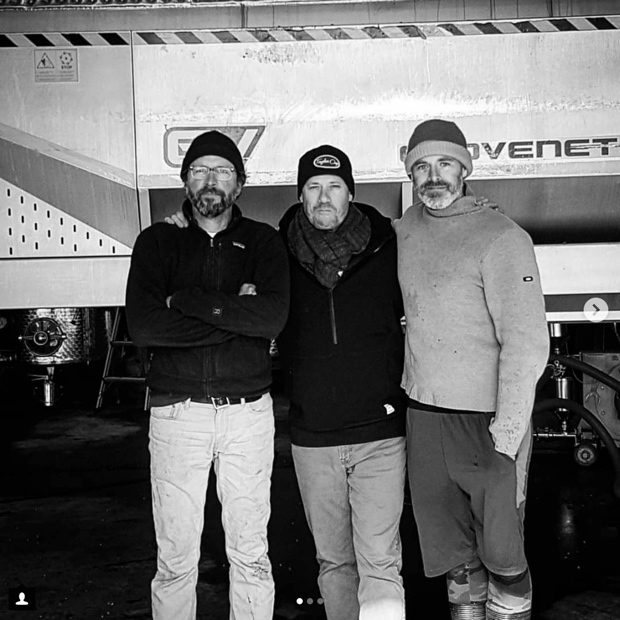 The discussion with Gerry and Jean-Benoit is now woven into the fabric of relationship with Pascal Agrapart who has been making wines at Champagne Agrapart & Fils since 1983. 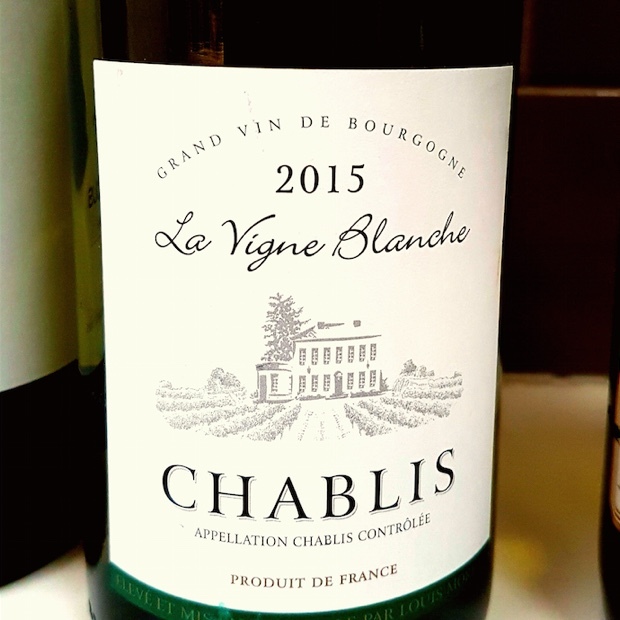 BB is keen on keeping a lineage with Champgane, a connection, to pursue more richness, texture and wines structurally rounder and fuller. 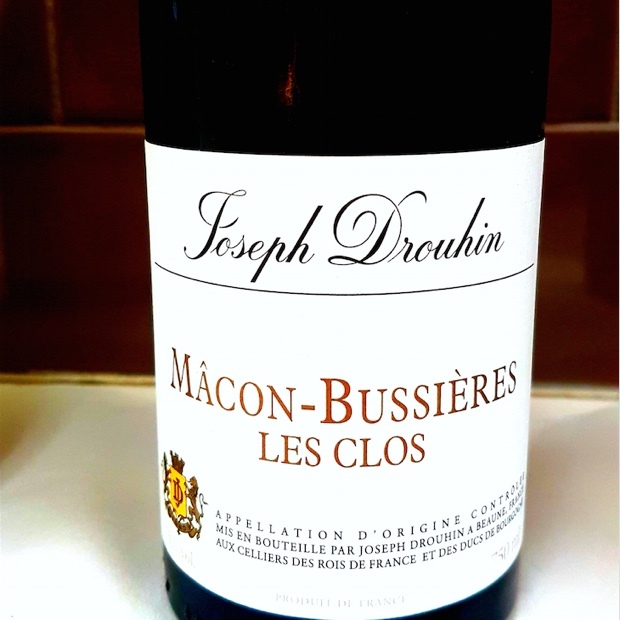 Says Deslauriers, “we’re looking for the growers taking a Burgundian approach to winemaking, in the vineyard first. 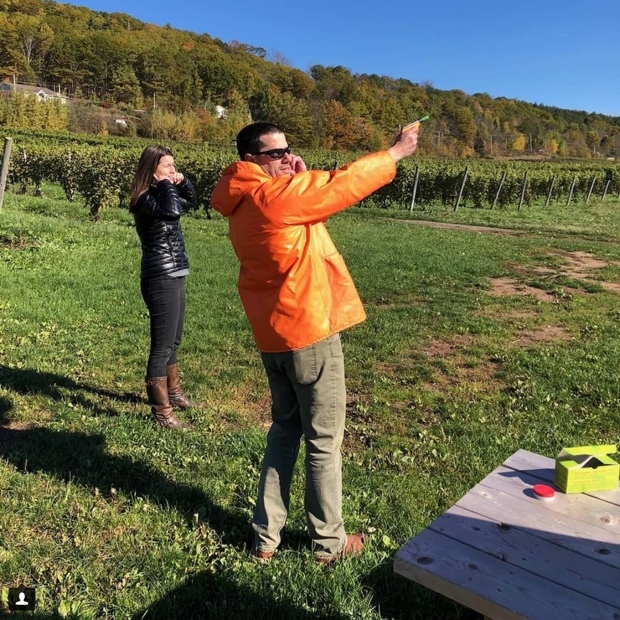 Pascal’s wines have always had that compelling textural quality.” Has anyone in Canada ever taken a grower’s approach to sparkling wine is the question. 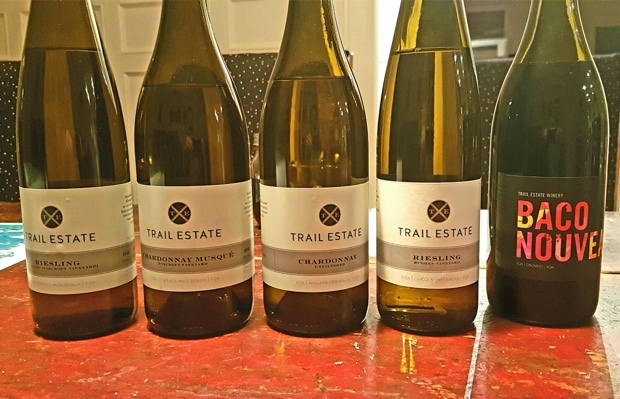 Here in Nova Scotia these are the wines with a stamp, of an equation in confluence from estate plus local vineyards and growing environments. 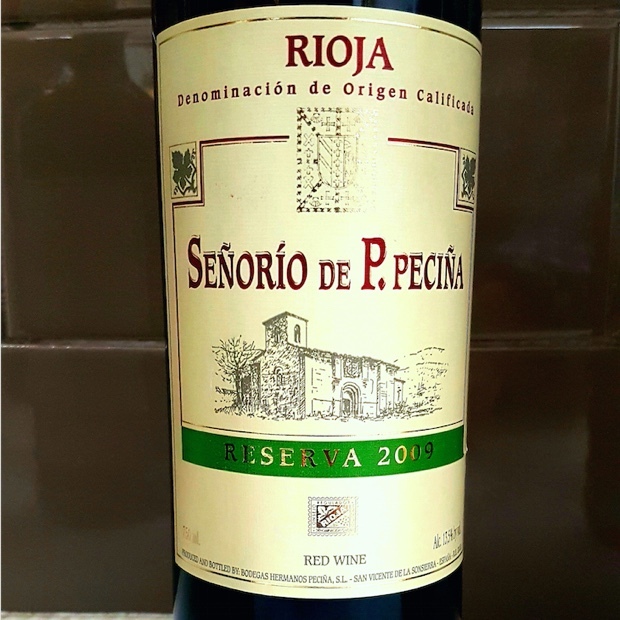 The wines are not in jeopardy by adding this richness. 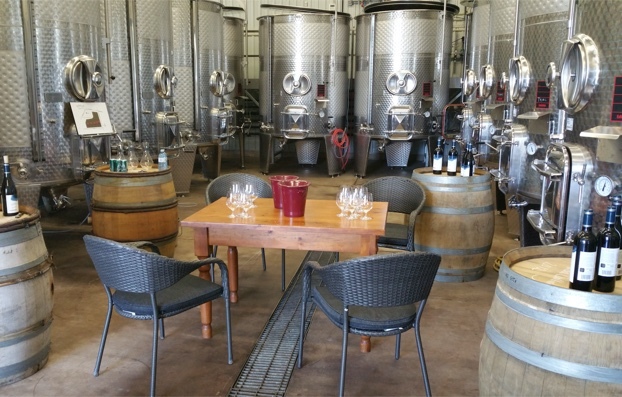 “We still recognize the parcels we have selected through the wines we have made. There is still an inherent Benjamin-ness to the wines, ” adds Chris Campbell. 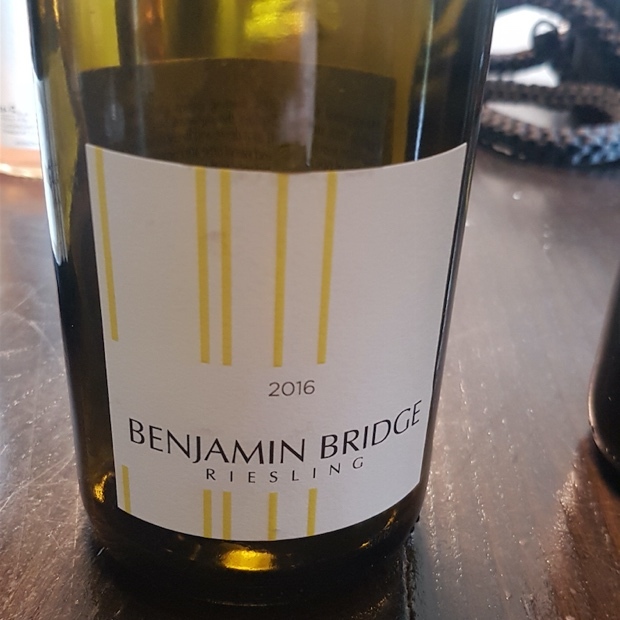 I tasted the following wines off the record, some unfinished and others still who are the children of experimentation but even more so as matters of conceptual links to the reasons why Benjamin Bridge even exists at all. Part estate and part Kingsport chardonnay fruit, with effervescence not the thing but it should tell a story. 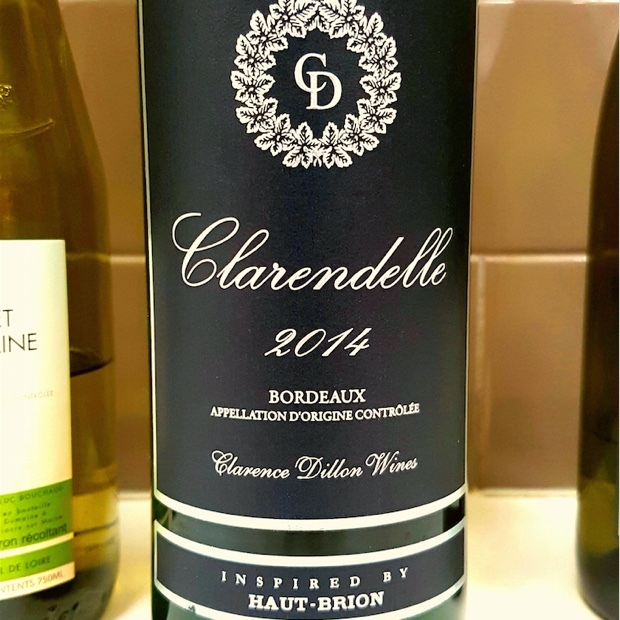 Already showing off its richness, density and concentration, even herein the “entry level,” the first full vintage for and from Pascal’s influence and tutelage. Cool stuff in here, decoupement particulare, this taking of different parcels for micro-vinifications. 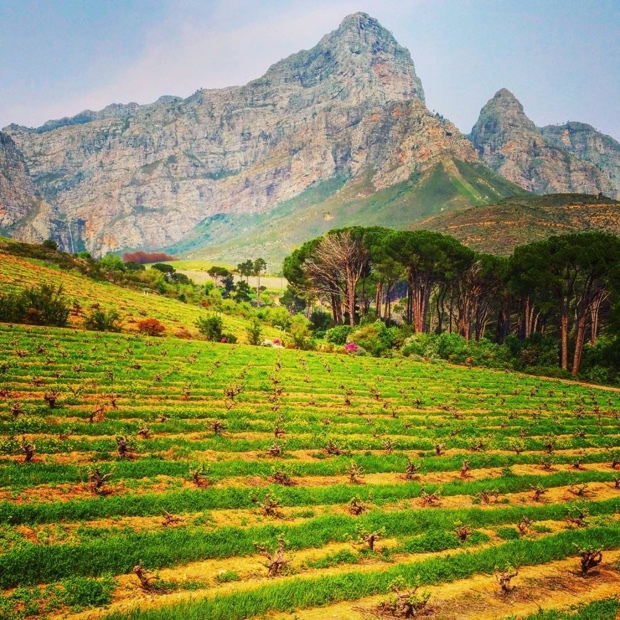 Of chardonnay and pinot noir, from the oldest estate blocks. There is so much more complexity, legit and from the word go. The terpenes are exceptional ones, and that is something they can be, built on acidity. 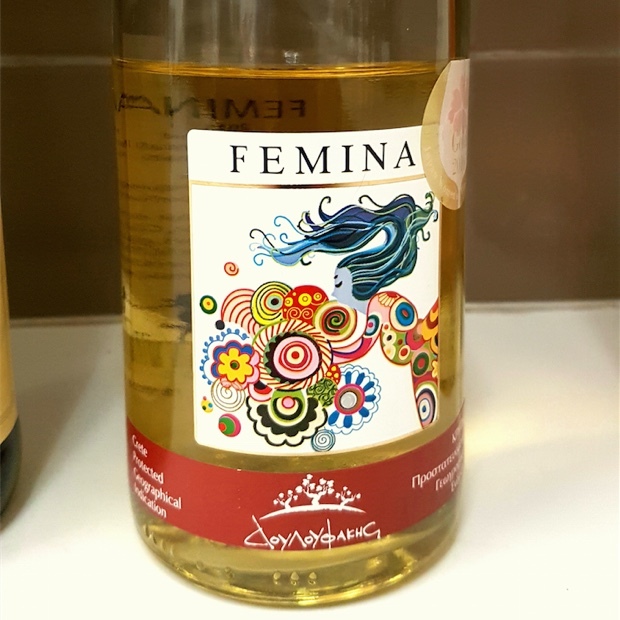 Even without bubbles you can fully relate to it as the wine it knows it is. Grapefruit and tangerine, dry and sumptuous. The base is the matter and what matters comes from the great base. Perspective comes at you in solicitation of your emotions and opinions in many ways. 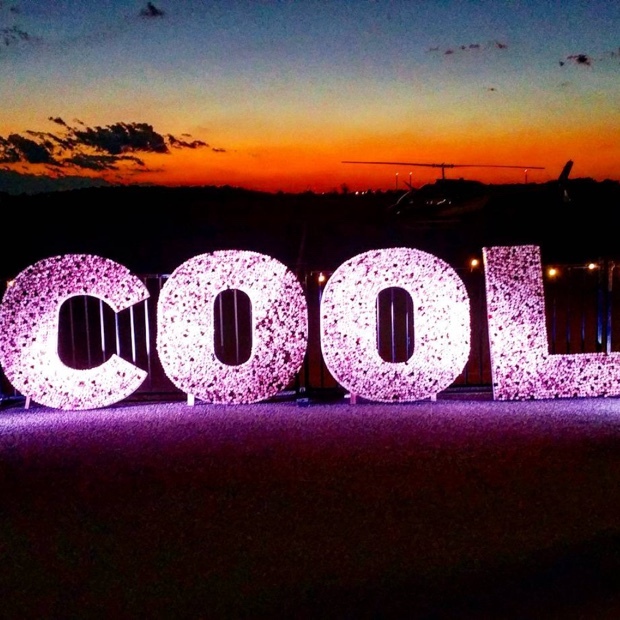 You don’t always need CO2 to make contact with sparkling wines. 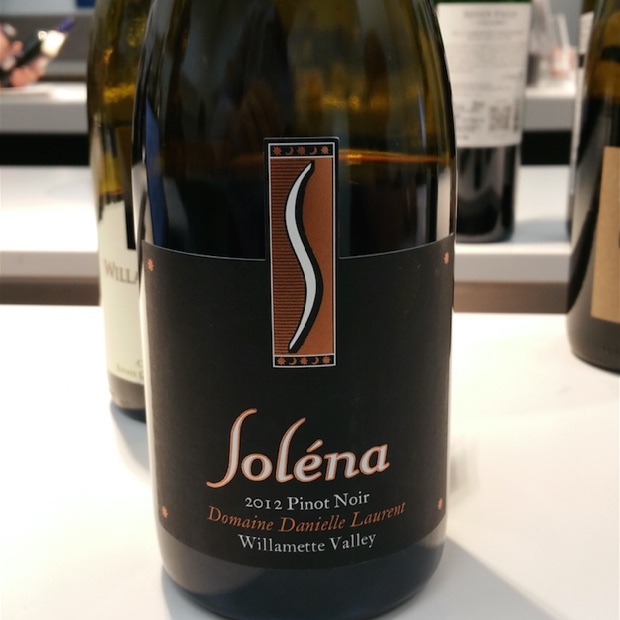 Now into pinot noir this new perspective makes you want to admit that it may be that chardonnay and pinot noir come together with a higher ceiling as a sum of their parts. Here it’s the antithetical aromatics of lemon rosewater and an amaro-herbal-red currant thing. Also oranges with spirit and a linger that reminds of the best athlete, with the greatest potential, but not the flashy star who scores early and often. The secondary fermentation is only a few weeks old and it’s a very primary notation, with the bubble still on the way up. The rise is lime as a slow crawl along a coaster’s upward track, welling with tension and a coursing flow of anticipation. By way of comparison there is a tonic phenolic uprising either not noted or now having dissipated from the 2016. 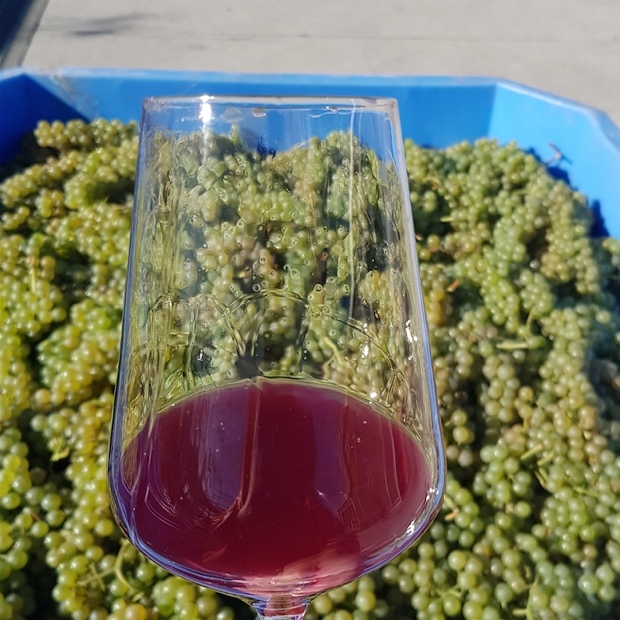 Once again the youth and the young phenols of very early fermentation but also a course led by the most unusual of vintages, cold and wet all summer long followed by 30-plus degrees in September and October. That’s 30-plus higher than right now in 2018. The contact here is unlike ’16, almost agitating and certainly unsettled. It would prefer not to be bothered at this time. 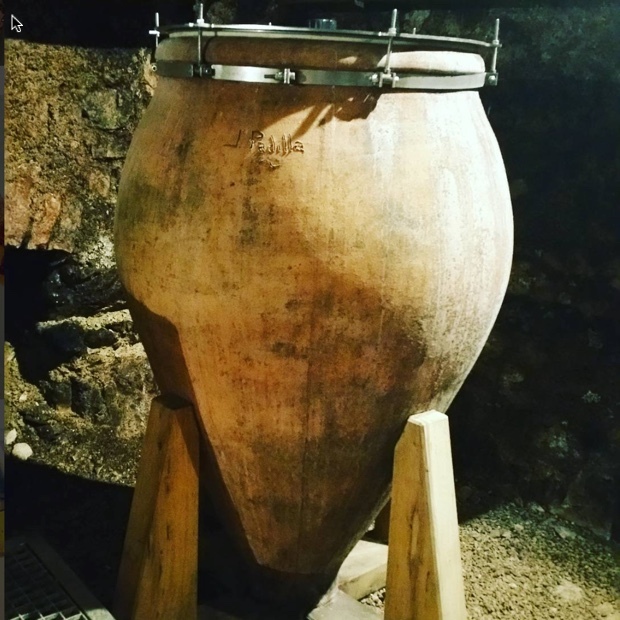 A non-vintage ’16, tirage in ’17. Could be vintage-dated but isn’t and won’t be. Higher acidity and more of the tonic phenolic-ness that the young ‘17s are showing. So I conclude that the NV is less structured and as an acumen-accumulated base wine it’s like a Blanc de Noirs or a reserve when younger. The translation states they are not only on to something and a real pattern is forming but they really know what they are doing, in separating micro cuvées and the outstanding wheat from the excellent chaff. While I tasted these unfinished wines and other tank samples I also assessed 10 new wines from the portfolio. Here are my notes. The prices are all Nova Scotia retail from the winery. 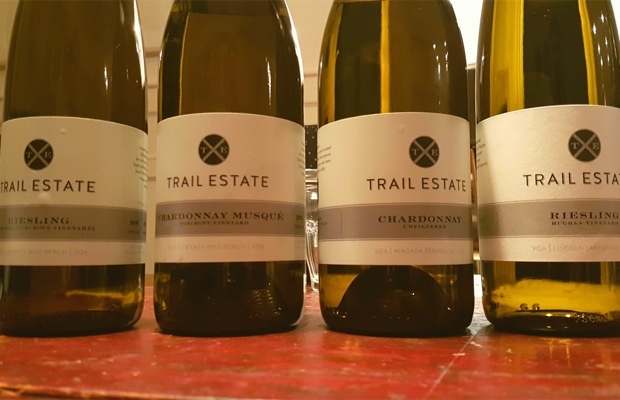 The following two wines were tasted in 2017 and a few months earlier at #i4c 2018, Ontario’s Cool Climate Chardonnay Conference in Niagara. Now back to October 2018. And one final tank sample. A good portion of, as in 100 per cent whole berry, whole cluster fruit ferment. 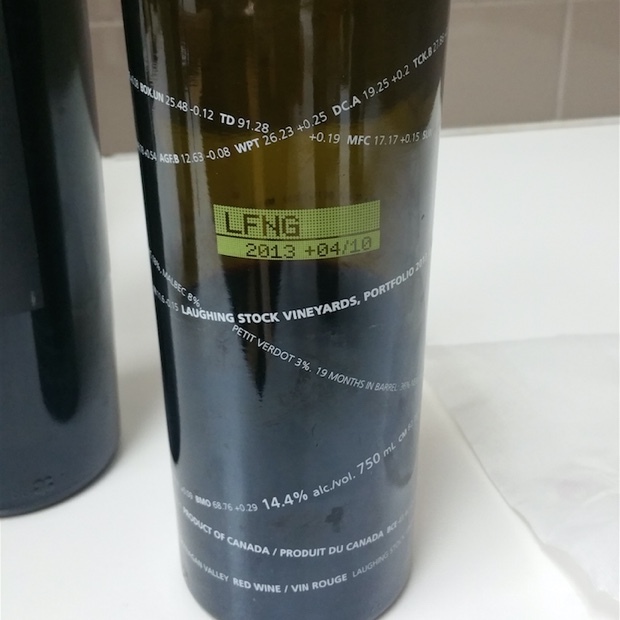 Heavily oxygenated, non-carbonic, from four barrels, to be bottled in December and then released next fall, so nine plus nine. There’s the floral rising from the glass, so pronounced. Strawberry, mint, cherry and liquorice, amaro, spice and tobacco. Green and pyrazine are looked for and not found. It’s the sand layer under the strat of mixed recent glacial run off rocks that mitigate the bubbling water beneath the soil and give this a tannic structure unheard of in Nova Scotia reds, Also remembering the urgency at the hands of the whole cluster ferment. There are 900L available. Grab ’em by the growlers. 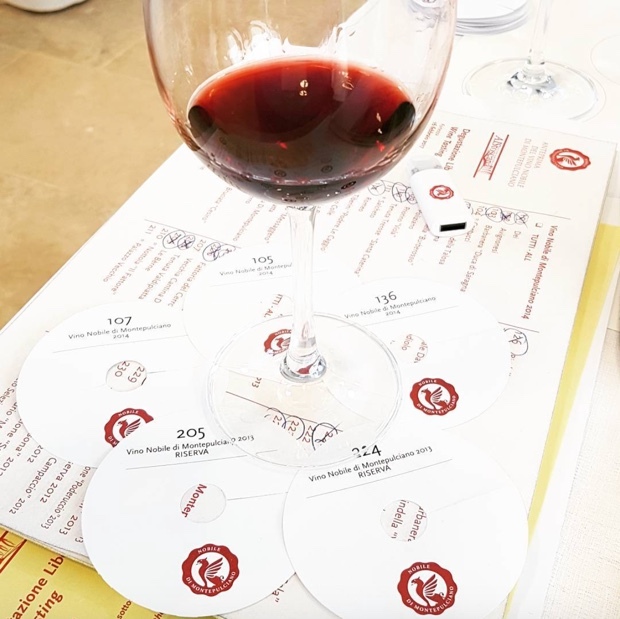 During the eight-day locomotive migration through Anteprime Toscane in February 2017 there were nearly 1000 wines to try, mostly sangiovese in all its various genetic, clonal and stylistic fluctuations. The aberration was in San Gimignano, a stop on the tour that I regrettably missed due to a deeper delve into Chianti Classico’s (even in) February verdant hills. One checkpoint and more specifically one tasting stood out from the rest. 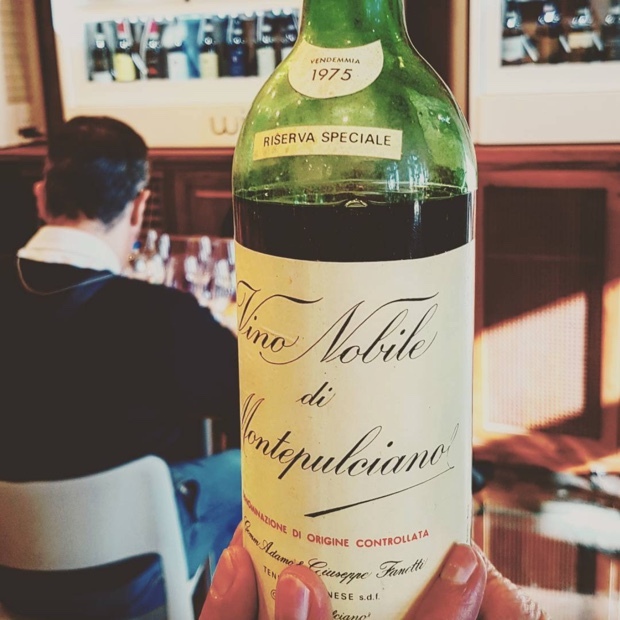 Fifty years of Vino Nobile di Montepulciano. 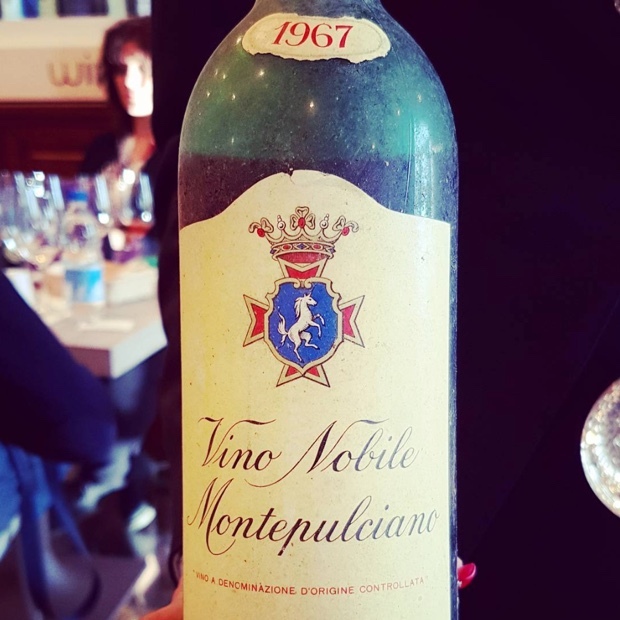 That the powers that be at the Consorzio del Vino Nobile di Montepulciano thought to amass ten wines spanning four decades and launching with that fateful year of 1967 was more than a stroke of regional genius. It was both a major risk to take and a gift of great generosity. 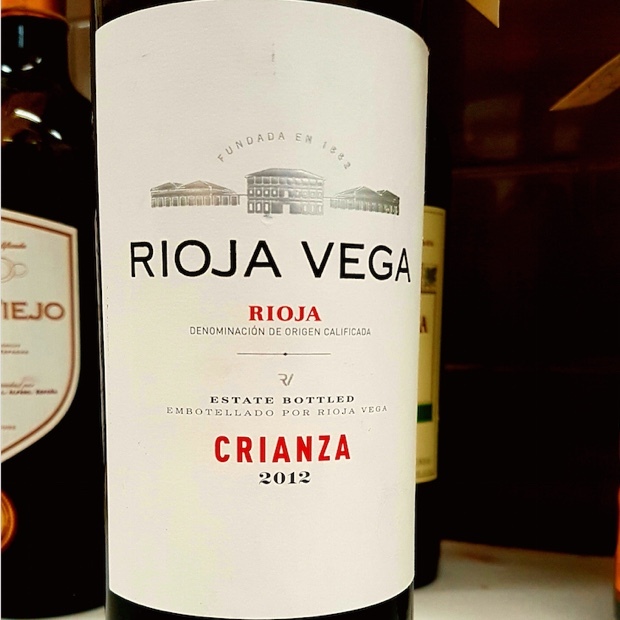 There was no way of knowing how those early virgin wines of DOC origin would show or if in fact that life would still be left in them. 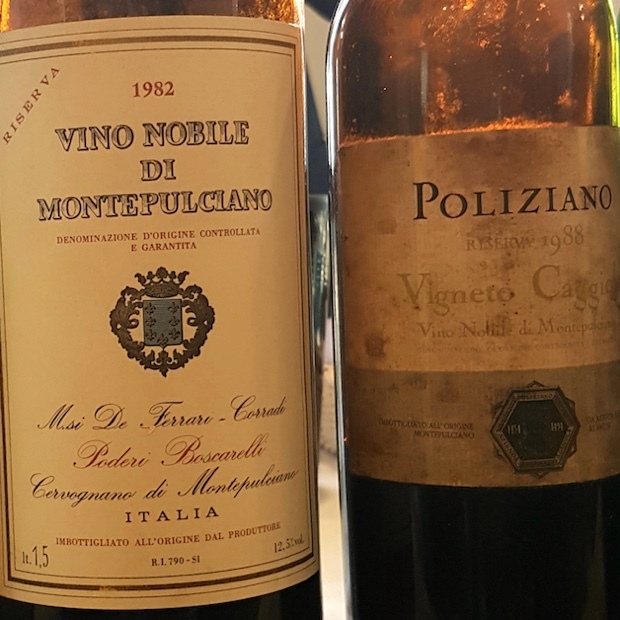 Perhaps another shortlisted vintage or two was waiting in the wings just in case a 1967 or a 1975 failed to survive but regardless, some serious props, high-fives and sincerest thanks go out to the producers and decision makers of this most storied consorzio. 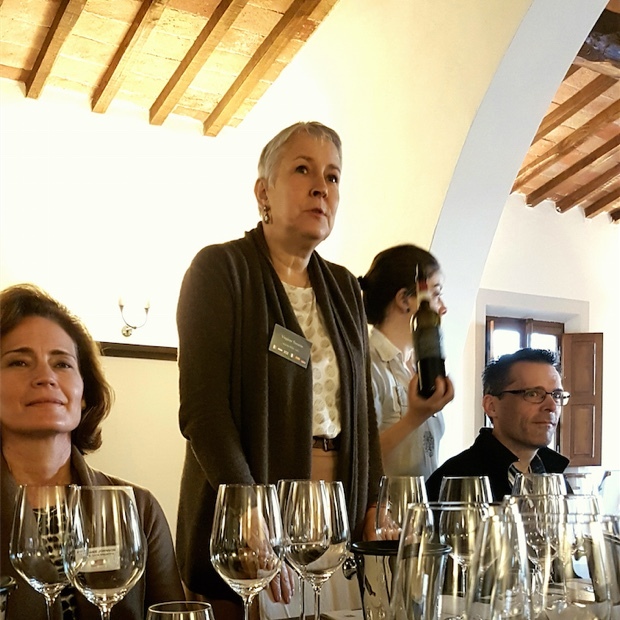 In advance of the 50-year seminar the Annata 2014 and Riserva 2013 vintages were presented. 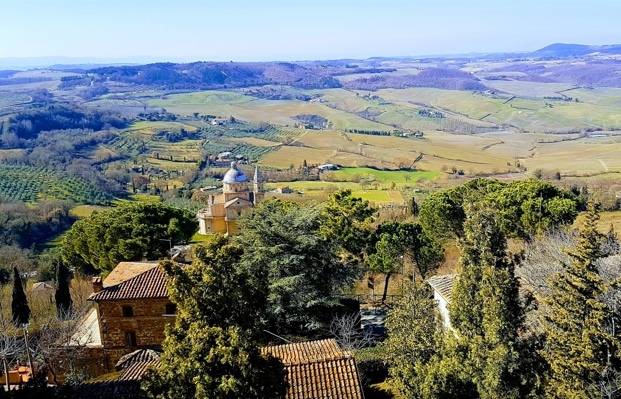 The challenge of the growing season showed the fortitude and the persistence of Montepulciano’s producers. You can throw a difficult set of weather patterns at the Vino Nobile but you can’t break their spirit. 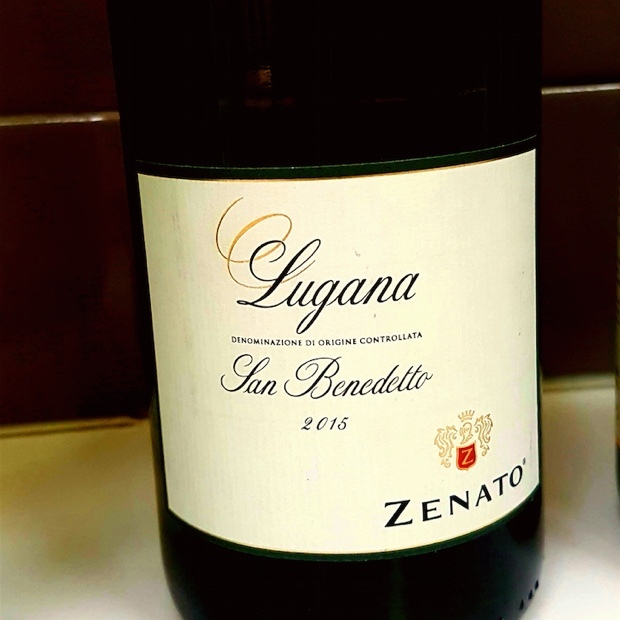 The ’14s are different, that much is clear, but more than enough quality, firm grip and structure is available to send these wines well into the next decade. They are a grounded bunch. 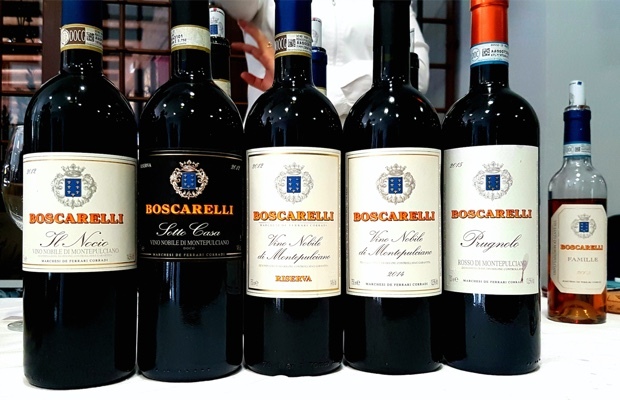 The 2013 Riserva are more of an elegant crew, for the most part and as representatives of the multiplicity of sangiovese they are as falling snow, like the endless repetition of winter’s everyday miracle. They are also wines that do not swing their arms, an indication of a secretiveness of character. 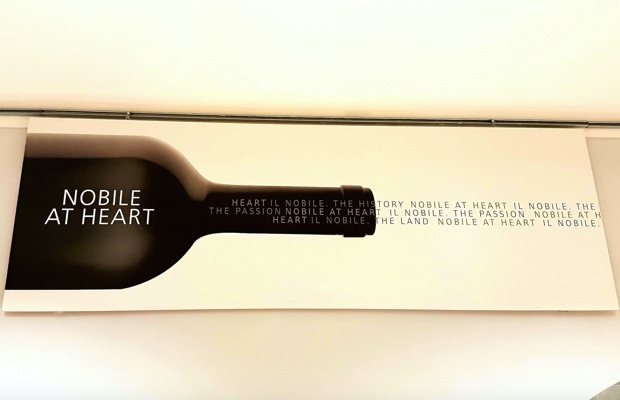 Which smarts into contradiction a connection to the ten 50 years of Vino Nobile wines. It explains how exciting it is to spend time with them in 2017. 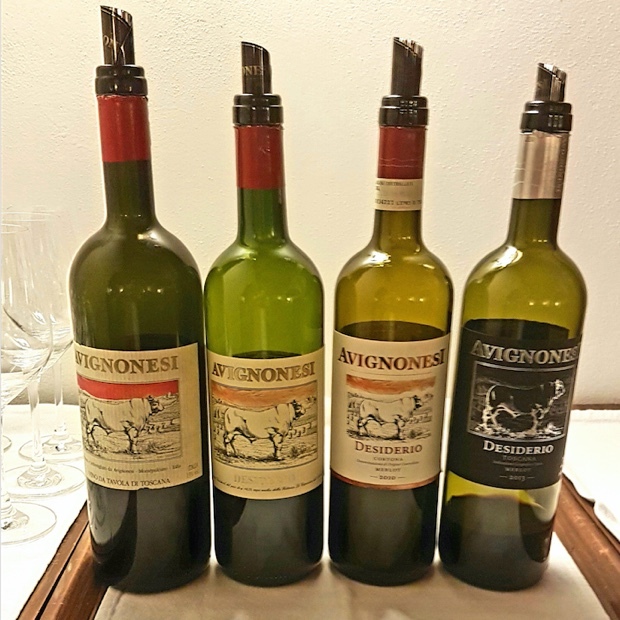 Post Anteprima Vino Nobile we paid a visit to Avignonesi. 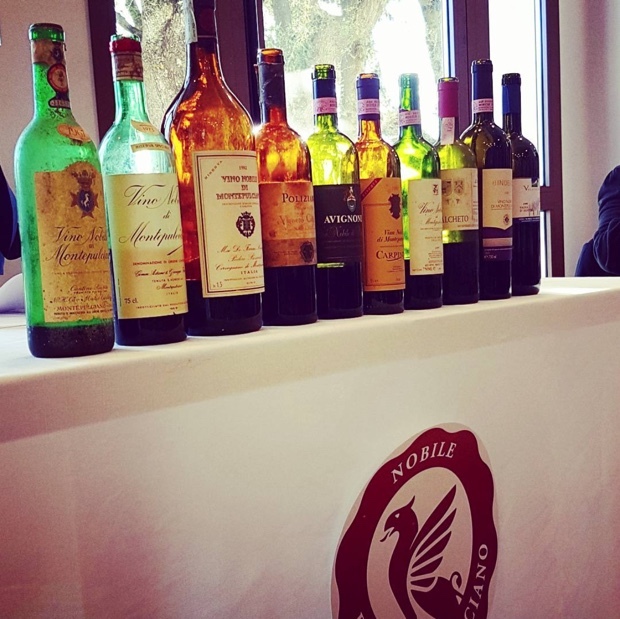 Two extraordinary vertical tastings were held with proprietor Virginie Saverys, Max Zarobe and winemaker Ashleigh Seymour; Vino Nobile di Montepulciano 2014-2010 and Desiderio Merlot 2013-2010-2001-1998. 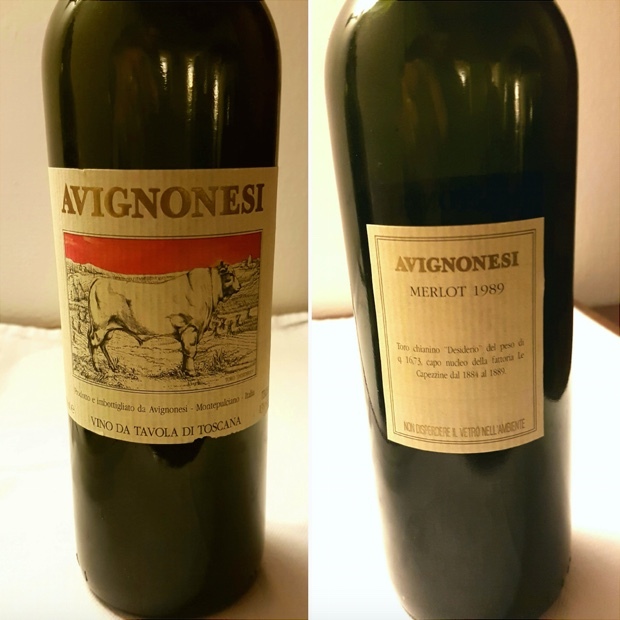 “When I purchased Avignonesi in 2009 it was Mars, or Venus,” began Virginie, “it was not planet earth.” Today it is a model of Montepulciano consistency. 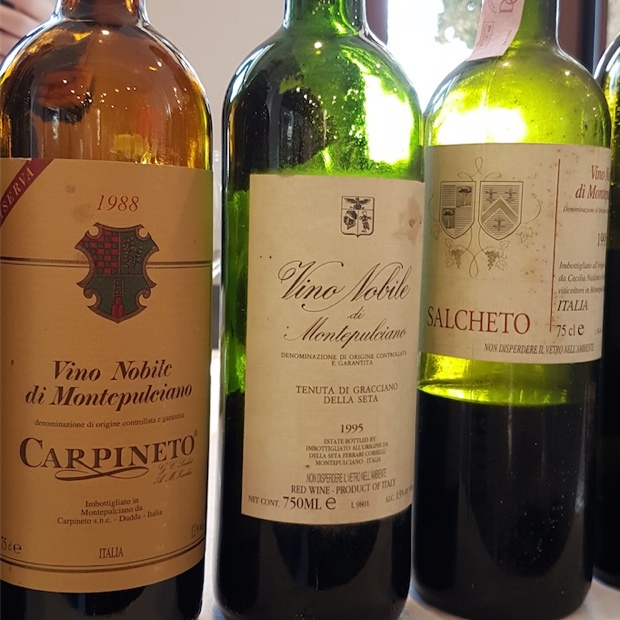 Here are my notes on those Avignonesi vintages along with some Anteprima prugnolo and those 50 years of Vino Nobile di Montepulciano. We disembarked in the warm, golden, glowing light of a July afternoon. No one around. The tiny village sat motionless, in less than a whisper. Béru. Knock on the door. Athénaïs de Béru welcomes us in. At no other entry point into a domaine in Chablis did it feel like this, like crawling through a portal, back in time, crossing a threshold into a different, magical world. Béru. Small village southeast of Chablis, to the west of Viviers, tucked into an amphitheatre nook below the Z-curve of the Route d’Auxerre and three valleys, Vau du Puits, Vallée de la Fontaine and Vallée de Foulignot. Béru. Mother in custody of Luke Skywalker. Béru. One of 16 South Pacific islands in the Southern Gilberts, according to legend created by Nareau the Wise and migrating, tree-dwelling Samoan spirits carrying branches from Te Kaintikuaba. Béru. The Left Bank domaine farmed by Athénaïs de Béru, organically, biodynamically and spiritually. 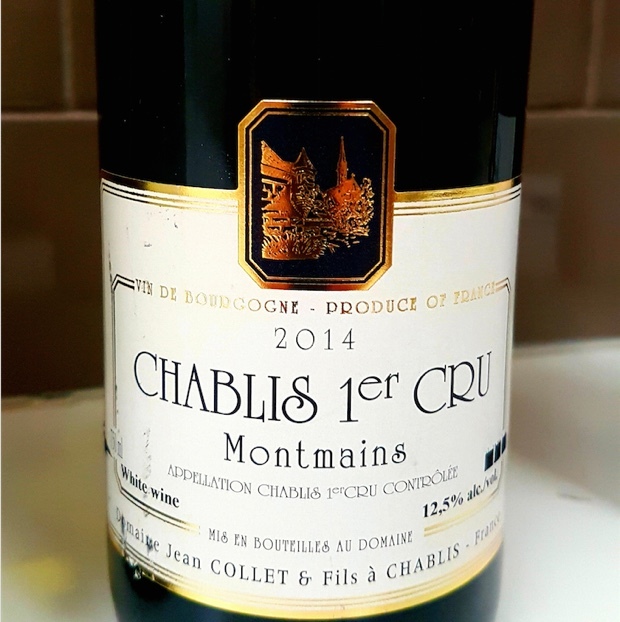 Chablis from the tree of life. 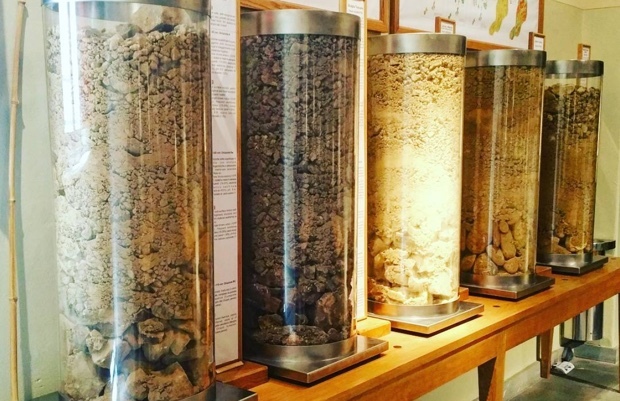 The family history of the five hectare Château De Béru is one recorded back 400 years, a quintessential 300m high Chablis plot on Kimmeridgien, calcareous-clay soils inlaid with fossilized shells dating back 150 million years. 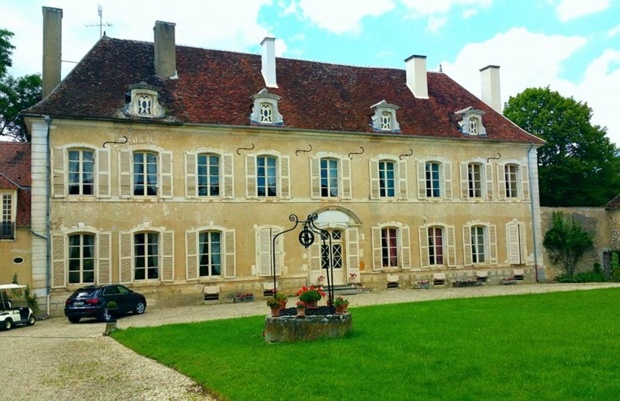 Written history tells of the vineyard first tended by first century Romans, ninth century Pontigny Abbey monks and the historical walls of the Clos Béru as having been erected in the 11th or 12th century. 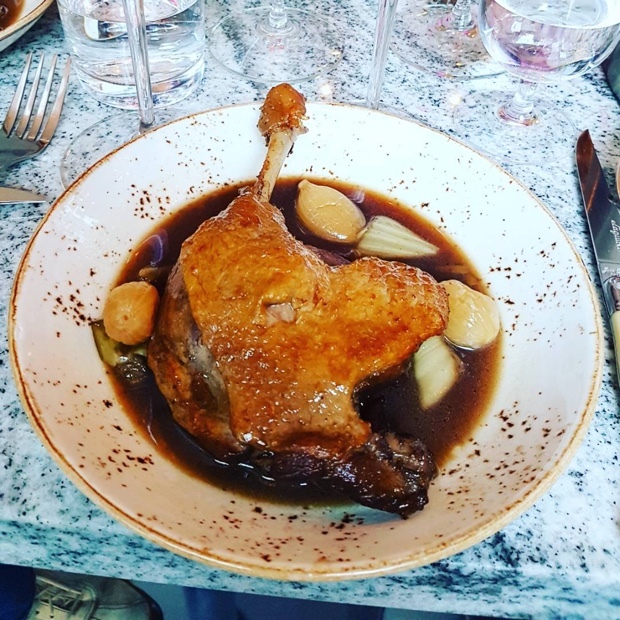 All to celebrate and demarcate the quality of the Béru terroir. 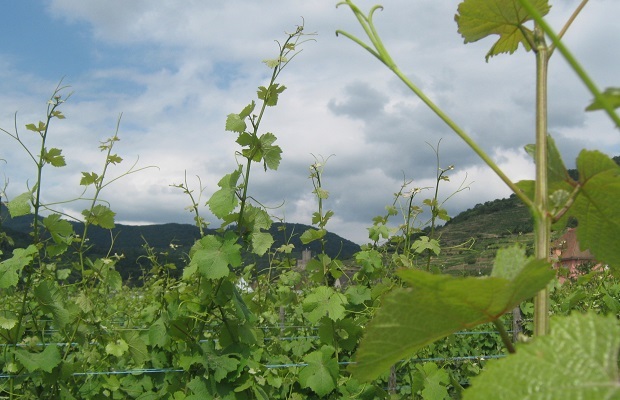 Then, in 1887 the phylloxera crisis ended nearly three hundred years of vinous prosperity. Late in the 20th century Count Eric de Béru replanted the vineyards and with loyal concentration on his family’s famous Clos Béru. He passed away suddenly when Athénaïs de Béru was just a child. 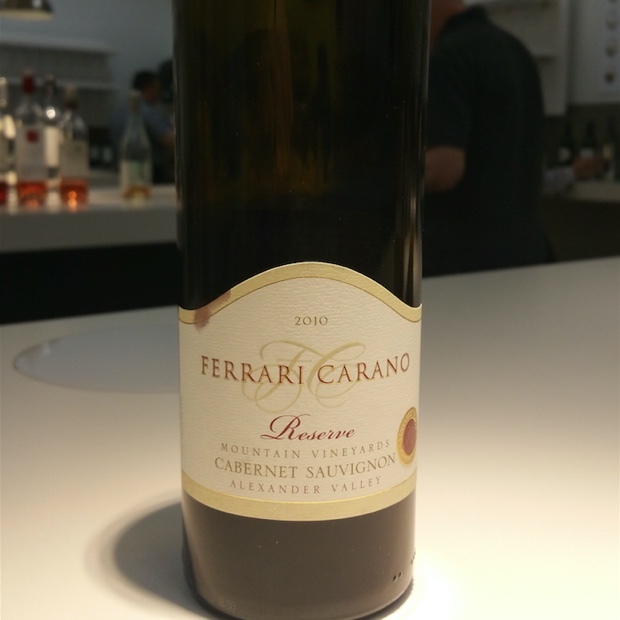 Years later she returned from Paris to resurrect the vineyard work and produced her first vintage in 2005. 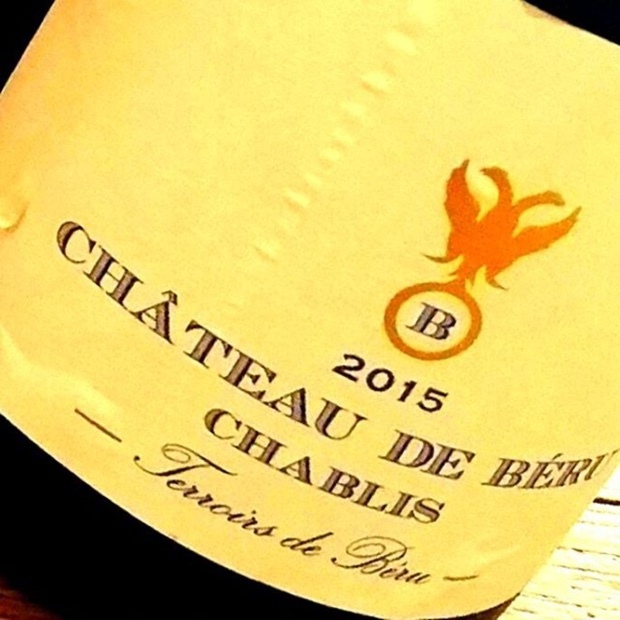 A taste of 2015 ten years on marks a new era for Château De Béru. 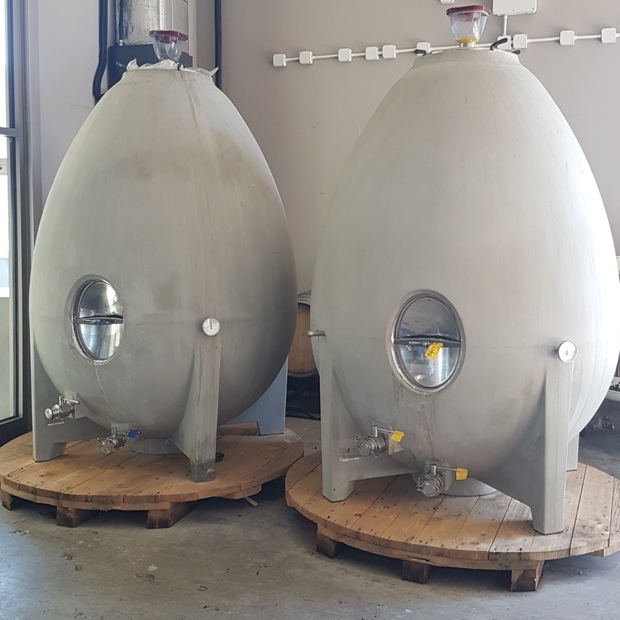 A walk through the underbelly of the winery confirms the direction and the enlightened future, through barrel trials, vin nature experimentation and concrete egg fermentation. 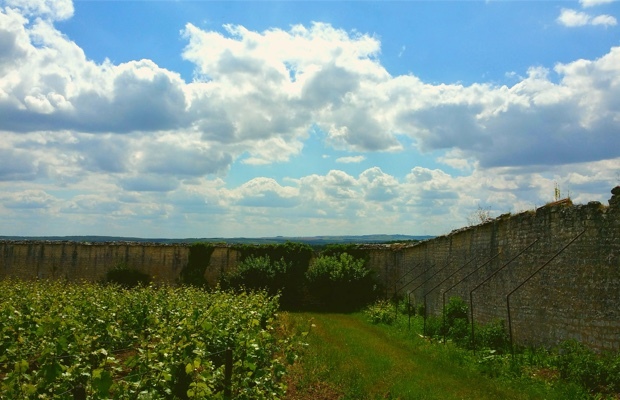 The rows outside the 11th-12th century monk’s wall demarcate Le Clos de Béru Vineyard. 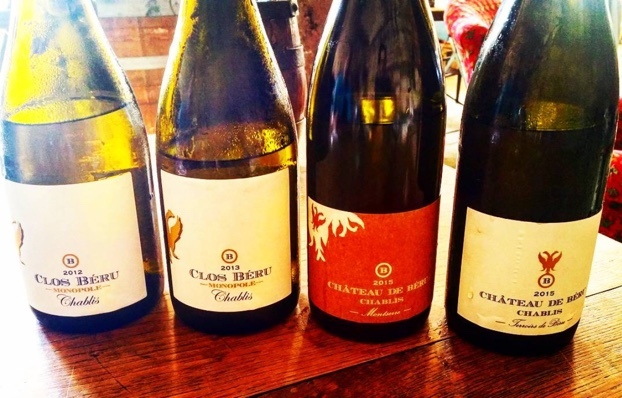 All of Athénaïs de Béru’s wines are single-vineyard Chablis save for the Terroir de Beru, a wine that gathers all the vineyards to express the all-encompassing Béru terroir. Organic was completed in 2006, biodynamic in 2009. Everything was lost in 2016 to the frost of late April. Béru hardest hit in Chablis. Athénaïs sprayed Chamomile tea on her vines, with love, repeatedly and with utter confidence. They survived. The future remains bright. 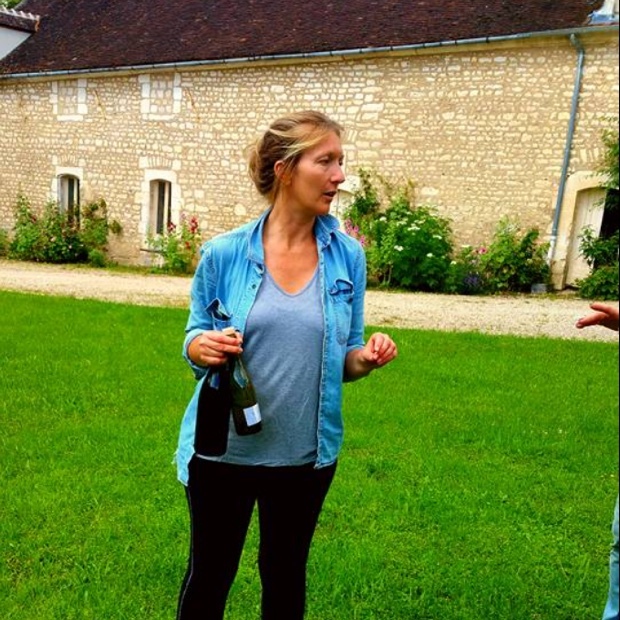 We tasted four Chablis with Athénaïs that day, along with an Aligoté and an Irancy. Here are the notes. Irancy is a partnership with friends who work organically, from their high-end cooperative, highly thoughtful picking and operation. Aged in tonnerre, obviously Burgundian (with 15 per cent pinot gris co-planted with the pinot noir). Traditional and typical but simply, unequivocally Béru. 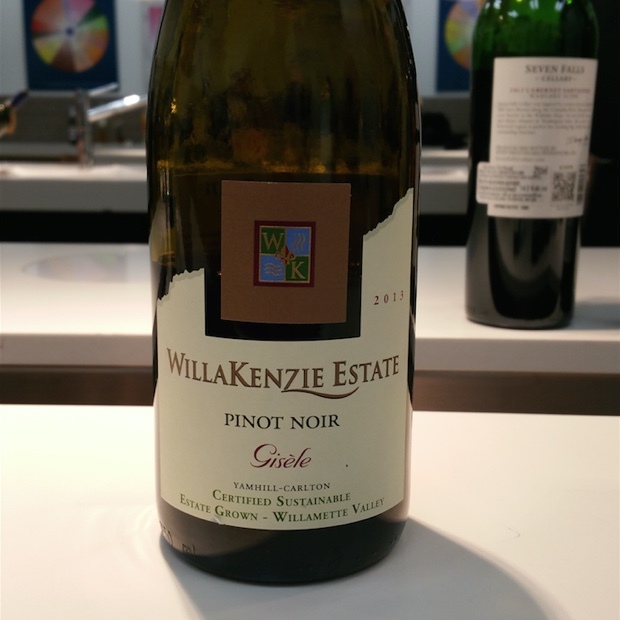 A wine loyal to the old co-plantation tradition in a world of Irancy where only pinot noir is re-planted. 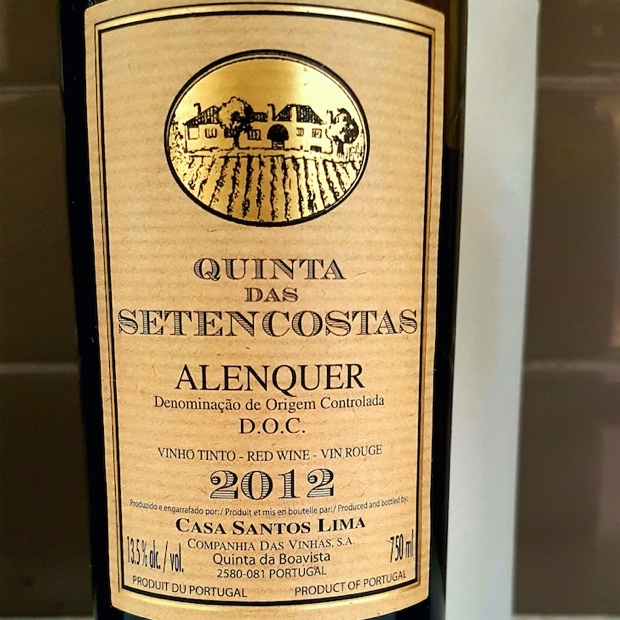 A balance between pretty red flowers and spicy, near bitter pithy white fruit. Whole bunch (100 per cent) fermentation but no pressing whatsoever. A slight passage under foot but the gentlest approach, suppressing tannin but looking for structure. This is so very crushable and what would likely translate to $75 CAN is something to think about. On a Friday in mid-April a group of veteran wine tasters come upon a table of Oregon Pinot Noir laid out beneath the white neon wash of light in the LCBO sensory lab. Most are more than duly impressed. 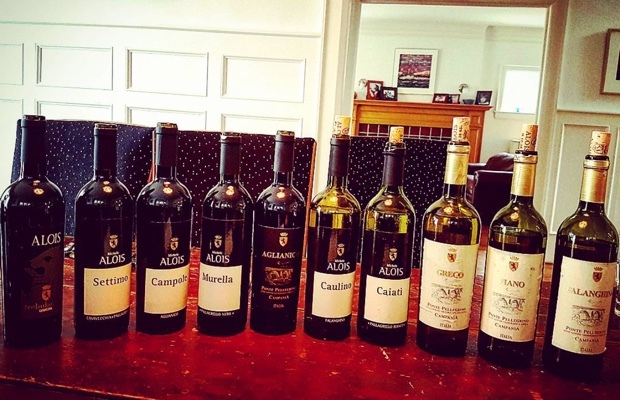 One extreme professional refers to the line-up as the greatest grouping ever assembled for a VINTAGES release. Roger that straight from the shoulder VINTAGES assessment. California dreaming aside, let’s shift our thoughts back to Oregon. More than anywhere else in the diaspora where the Burgundy expatriate is re-produced, the Pinot Noir from out of the Willamette Valley transmogrifies the parataxis of French narration. It understands that to repeat a note can be an enrichment, not an exhaustion. Oregon doesn’t merely resemble Burgundy, it actually exceeds it. In Ontario we consider specific Niagara sub-appellations as capable of narrating a Beaune fictive, including those from the Benches of Beamsville and St. David’s. Prince Edward County’s limestone viaduct of geology and Burgundian geography is always part of the wine country Ontario Pinot Noir discussion. Central Otago and other New Zealand regions can be given due genetic consideration, as can very isolated parcels in Alsace, the Western Cape, the Mornington Peninsula and the Ahr. In the case of Oregon vs. Burgundy, ask Norman Hardie, Thomas Bachelder, Will Predhomme or Nicholas Pearce. 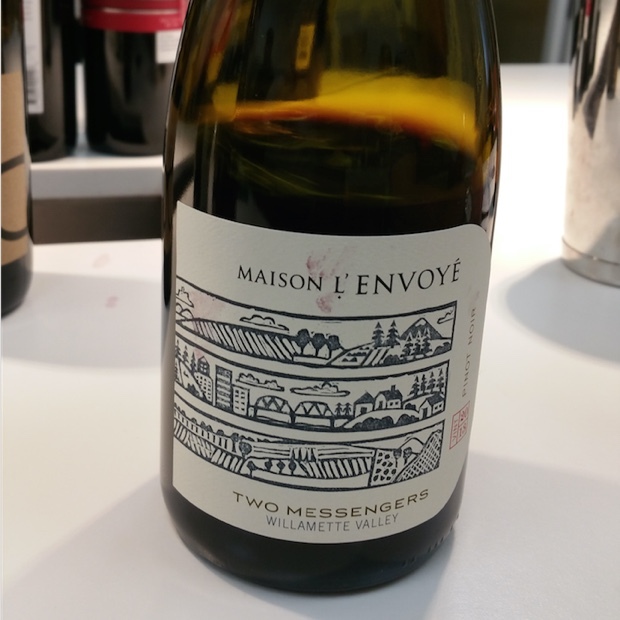 They will tell you that it is most certainly not Niagara and while neither are Burgundy, it is the former where the closest comparisons can be made. 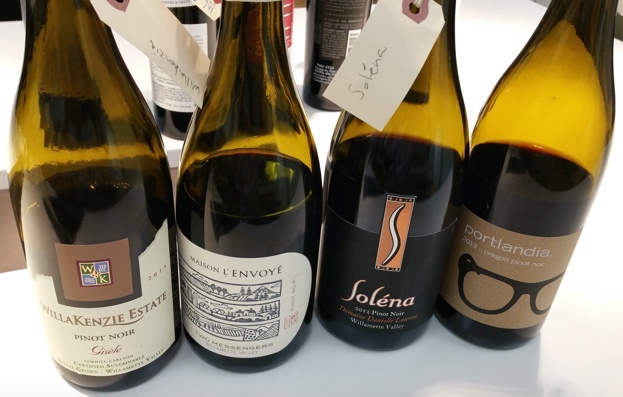 I reviewed the four Pinot Noir coming through VINTAGES on April 30th. They are all worth the investigation and two are exceptional. To the purpose of expanding on the west coast leitmotif I have added a white from Oregon, a sumptuous red blend from Washington and two big reds from California and B.C. Next weekend, head out for the west coast.